Americans have never been so entertained. If you want to spend half the day scrolling puppy photos on Instagram, no one (except perhaps your boss) will stop you. If you want to binge watch every episode of The Walking Dead, Netflix will gladly take your money. If you want to play Clash of Clans on your smartphone until you forget you’ve been sitting on the toilet for two hours, have at it. Today, amusement is so personalized and so accessible that we often forget about the awesome stuff going on right outside our front doors. Case in point: American Flat Track racing. Unless you were raised on two wheels or discovered AFT while browsing NBC Sports late at night, this extreme sport is probably news to you. It might, therefore, come as a surprise that men and women on modified motorcycles have been sliding around dirt-packed courses — knocking tires and drafting one another well in excess of 100 miles per hour — for almost a century. It wasn’t long after production motorcycles became popular in the early 1900s that Americans began racing them. The first competitions were staged on oval horse tracks, but by 1909, automotive and motorcycle races were held on designated circuits — first in Los Angeles, then abroad. Board Track racing, as it was called, soon became one of the most prominent sports of the ‘20s and early ‘30s. Just as the sport was hitting its stride, The Great Depression, followed by the Second World War, sucked the wind from its sails. The American Motorcycle Association (AMA) introduced the rebranded American Flat Track in the mid 1950s, but as MotoGP and Motocross caught fire in the U.S., AFT was burned. Out of the spotlight, AFT endured with the support of its most devout fans and loyal manufacturers. Patiently, competitors and fans waited for a savior. In 2015, Michael Lock entered the equation. 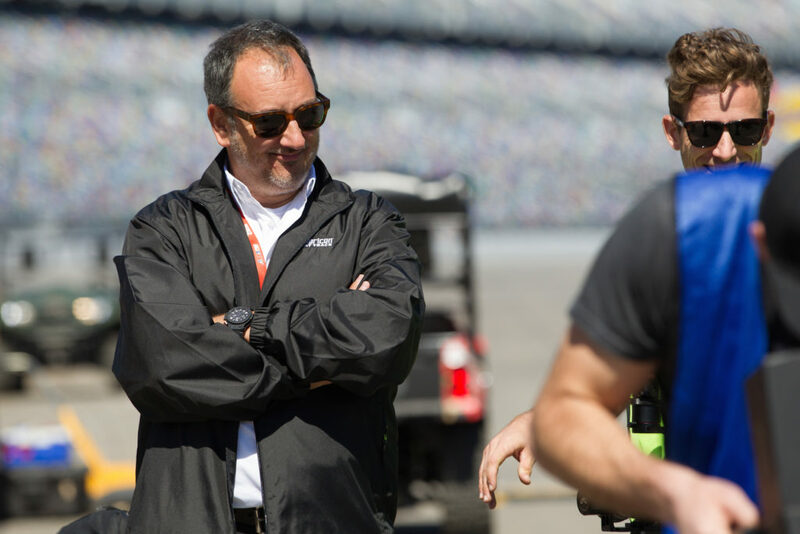 Before taking over as American Flat Track CEO, Lock had introduced the American division of Triumph Motorcycles, ran Ducati North America’s operations for nearly a decade, and later acted as Automobili Lamborghini Americas’ COO. No one was better equipped to lift AFT from among the rubble. In short order, Lock wrangled sponsors, simplified the sport’s rules, introduced new racing venues, rallied manufacturers, and secured network broadcasting. Drawing upon his extensive network, Lock knit together a strategy to make AFT stand out amidst countless distractions vying for Americans’ attention. “In 2017 we re-engineered and modernized the sport to reach a whole new generation and audience via the NBCSN show, live streaming, and extensive use of social media,” Lock told us at the 2017 season finale in Perris, California. Peering around at the mix of faces, young and old, at the AFT Championship race, it was clear excitement for the sport had transcended the 55-and-older demographic. On the surface, a race seemed dead simple: crank the throttle on the straights and pull back/maintain speed through the corners. The more we watched, however, a myriad of nuances unfolded. Perris’ half-mile circuit was hardly long enough for riders to straighten their bikes for a fraction of a second before the next corner. Every corner was taken sideways — almost completely so at first, then eased into a controlled slide. Competitors drafted and slid centimeters from one another. One slip up meant a cringe-worthy spill (something we, unfortunately, witnessed during the Singles Championship). 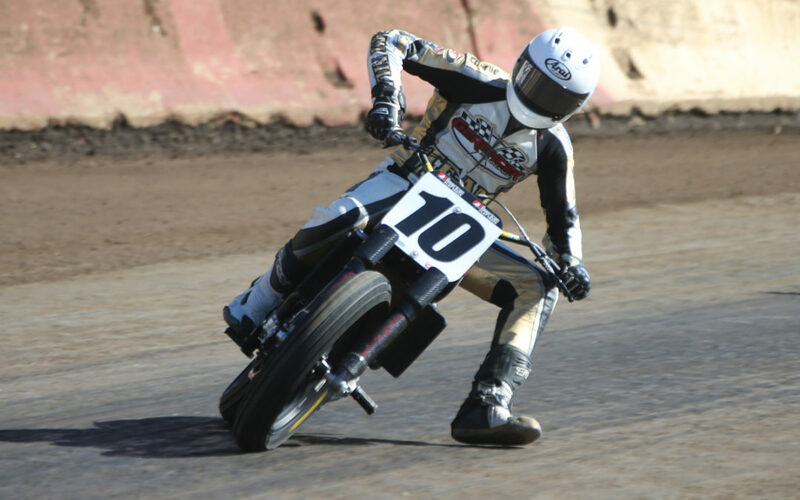 Even after riders crack the code to mastering the half-mile course, there are three other configurations to learn — short track, mile-long, and TT (Tourist Trophy) — with unique strategies for each competition type. Unlike some other motorsports, there isn’t a bad spot to spectate a Flat Track race. Good thing, too, because it is entertaining. Battles for position break out everywhere in a race, constantly engaging fan attention. Gutsy passes and overblown corners shake up the leaderboard. The relatively short races (under 30 minutes) mean tension never dissipates. During both the Singles and Twins finales, we caught ourselves forgetting to breathe multiple times. 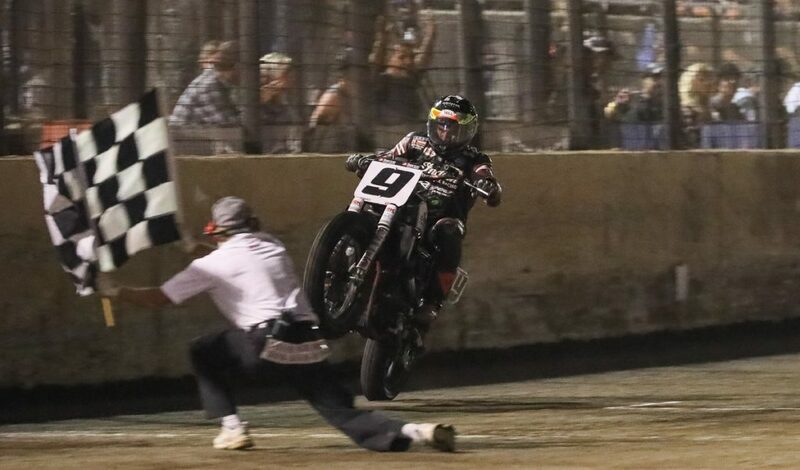 The extent of Lock and American Flat Track’s success will be determined in the years to come, but if our first-hand impression of the sport counts for anything, Americans owe it to themselves to tune in.